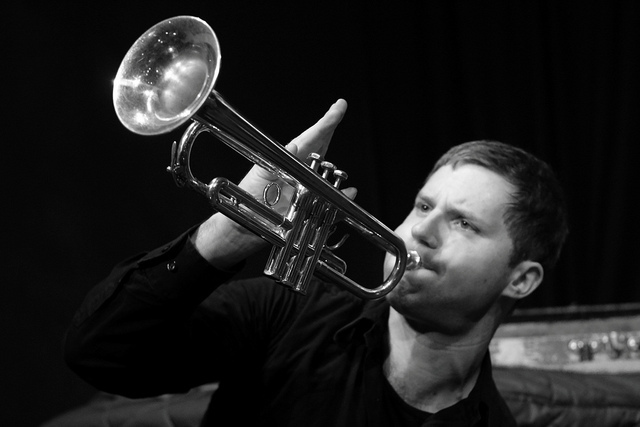 Trumpeter and composer Peter Evans has been active on the New York scene since moving to the city in 2003 upon completion of his studies at Oberlin Conservatory of Music. Since his arrival, he has founded his own quartet that includes Brandon Seabrook (guitar), Tom Blancarte (bass), and Kevin Shea (drums). He has also played in bands led by Evan Parker, John Zorn, Okkyung Lee, Jeremiah Cymerman, and as a member of Mostly Other People Do the Killing, Carnival Skin, and a number of rock bands, including Hi Red Center, Talibam!, Holopaw, Tyft, The Lisps, and White Blue Yellow & Clouds.